One day when she was in the park, she saw her dog unpleasantly blinking, because of the strong sunlight. She got an immediate inspiration and decided to make sunglasses for dogs. This was a totally crazy idea, nobody has made anything similar before. It was a completely competition free niche and Roni made up her mind to give it a shot. Initially, she tried some different designs, then she sifted out the most successful ones and started mass production. The company she founded – Doggles – has made millions selling this strange product. Her glasses were even purchased by the US government for the military dogs, which were supporting the US army in Iraq. The ‘pets market’ is more than one billion industry only in the United States. Many people are eager to buy really crazy things for their pets because they are like a member of the family. Roni just took advantage of this underestimated by many facts. Crazy business ideas are a perfect marketing strategy. They are so strange to people, that the latter are eager to share them with friends. This is how these ideas spread really well, without any marketing efforts. 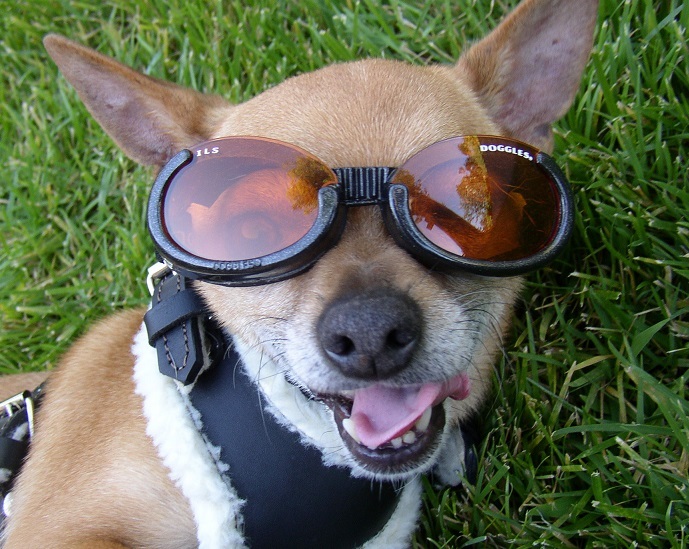 In our case, many big media company posted articles about Doggles. The glasses for dogs were ranked the 6th most useless invention ever by the big British newspaper Daily Mail for example. They were an interesting and curious topic and this helped Roni Di Lullo a lot on her way to success. So if you would like to start a business, make sure you choose the craziest idea you come to. This helps a lot. The crazy ideas got marketed all by themselves, many excited bloggers (like me) and journalist will write about the idea just because it’s crazy. Don’t forget sharing this article with friends on your favorite social site, using the buttons on your left. This way you will help us a little and we will be able to make more interesting stories for you like this one.